What’s for BREAKFAST? Here is a great, simple recipe that is good for you as well. Pour all ingredients into a pot and heat until chia seeds are soft, and if using frozen berries, they must be warm and soft. Instead of both ½ cup cherries and ½ cup blueberries, you can just use 1 cup blueberries. This makes a nice breakfast or midmorning snack after first drinking a cleansing green juice like celery juice or Heirloom Greens (https://drcelaya.com/product/heirloom-greens/). You can also make this as a dessert topped with a scoop of coconut ice cream. Here’s an old family favorite, and it’s simple to make. Healthy, too! In a large pot, pour in all ingredients, except avocado and dill. Boil until soft. In a blender, blend half the soup until creamy. Then pour back into the pan and mix with the chunky soup. Pour in serving bowl and top with sliced avocado and a sprinkle of dill. This is one of our favorite soups when it’s cold outside. Hope you like it. Bake 2 butternut squashes on parchment paper in the oven (350) for 45 minutes to 1 hour, or until it is soft when punctured with a fork. Let cool. Peel and deseed. In a pot, pour in the broth and coconut milk. (For a low-fat version, add 1½ cups more broth instead of coconut milk.) Then add onion, cauliflower, sea salt, red pepper flakes, ginger root, and curry powder. Boil until soft and remove from stove. Add minced garlic and fresh lime juice. Blend in blender until desired consistency. Pour in bowl and sprinkle with chopped cilantro and turmeric powder. 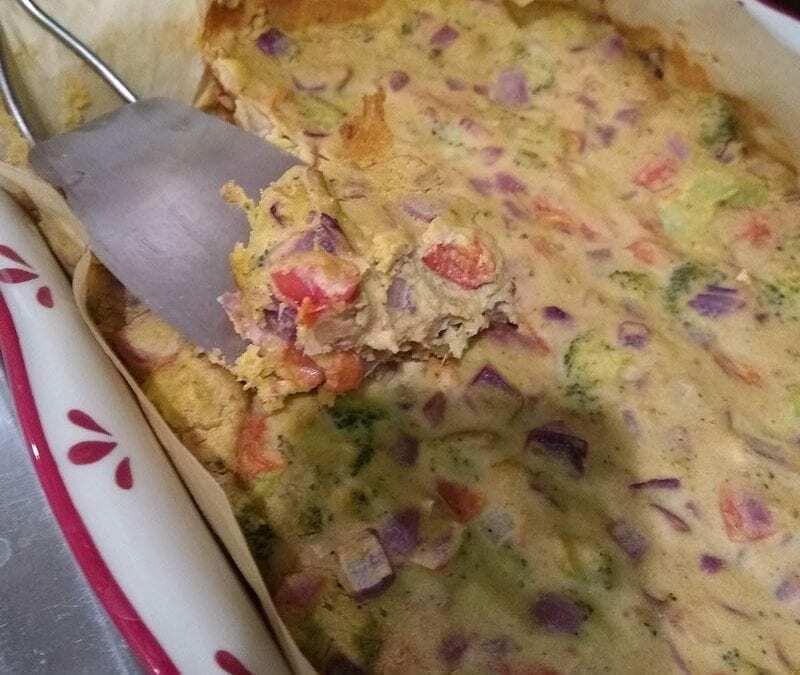 Trying out the liver cleanse recipe, Chickpea Quiche, from Medical Medium’s book – Liver Rescue. 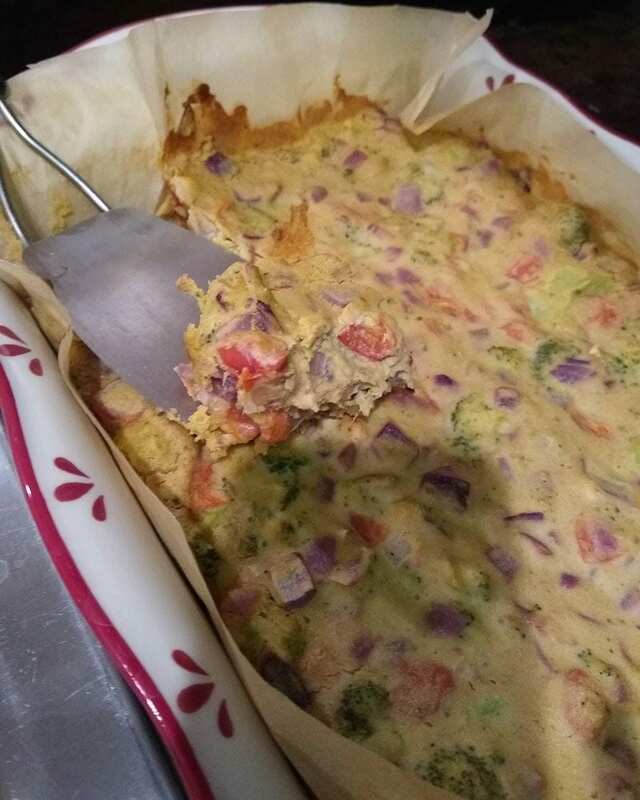 Love trying out different healthy recipes where food is your medicine. This dish is to prepare you for an eventual liver & gallbladder cleanse. 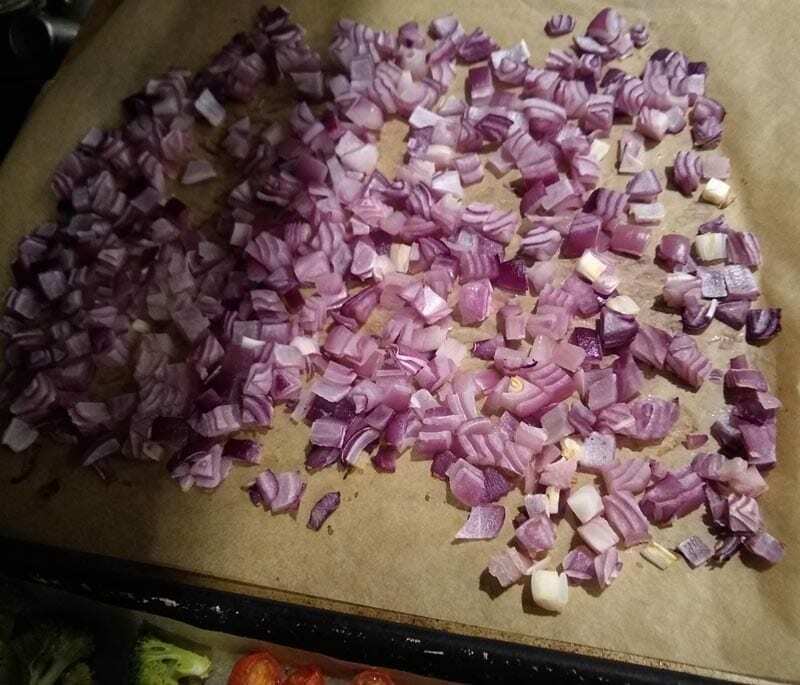 Who doesn’t love red onions? Try them roasted – even better. 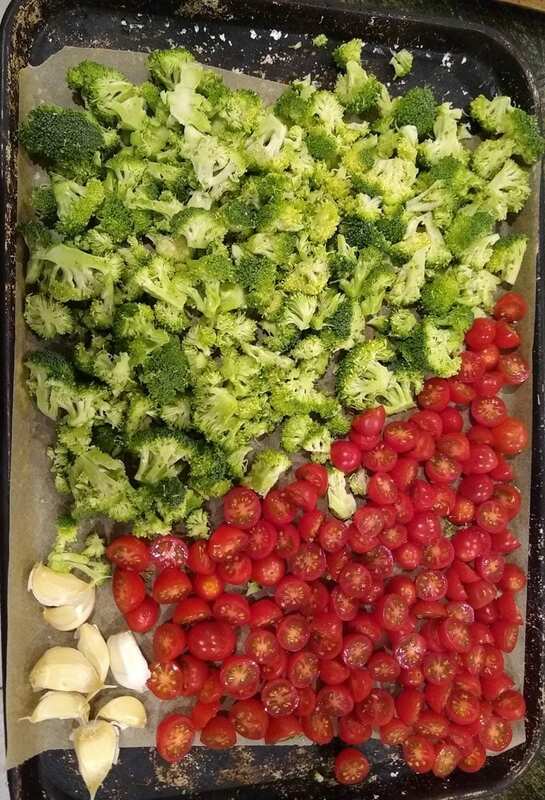 The roasted veggies are added to a mixture of garbanzo bean flour, lime juice, and flavorings. Good hot, but also good cool and broken up on a salad. This is made without oil or fats, which gives your liver a break from producing bile. This lets your liver store up the bile reserves which will be helpful when the liver is finally cleansed. This does taste good but is different because it does not have any fat. We added additional flavoring to compensate. Go check out the book to see the recipes. Food is part of being healthy. If you want to know more about how you are doing, schedule a FREE 15-Minute consultation with Dr. Celaya. You could be developing an autoimmune disease, one of the most common diseases today, and are not aware of it. 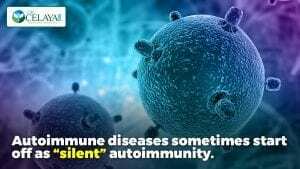 This is because autoimmune diseases sometimes start off as “silent” autoimmunity. This means your immune system is attacking tissue in your body but the damage isn’t bad enough to cause symptoms yet. 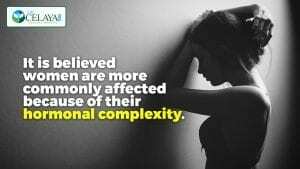 This is because medicine does not screen for autoimmunity until symptoms are advanced and severe enough for a diagnosis and treatment with steroids, chemotherapy drugs, or surgery. As an example, autoimmunity against the pancreas can cause blood sugar issues long before the development of type 1 diabetes. Additionally, about 10 percent of people with type 2 diabetes, which is caused by diet and lifestyle, also have pancreatic autoimmunity. This is called type 1.5 diabetes. One of the most common autoimmune diseases is Hashimoto’s hypothyroidism. Patients may need to gradually increase their thyroid hormone because although they were diagnosed with low thyroid, the autoimmunity was overlooked and left unmanaged. Or a patient may have an autoimmune reaction that has not been recognized as a disease. 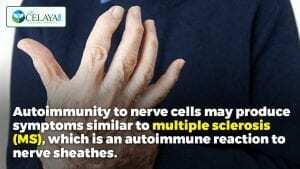 For instance, autoimmunity to nerve cells may produce symptoms similar to multiple sclerosis (MS), which is an autoimmune reaction to nerve sheathes. However, because the autoimmunity is not attacking nerve sheathes specifically, the patient cannot be diagnosed despite MS-like symptoms. People can also have symptoms that suggest many types of autoimmunity. 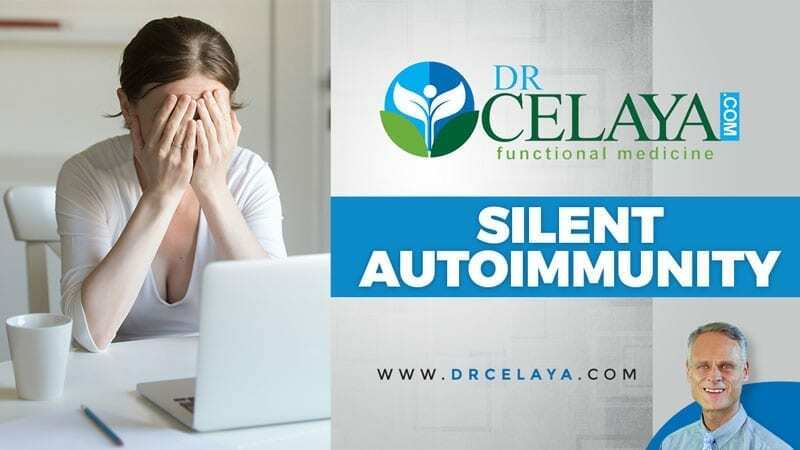 Although symptoms vary depending on which tissue is being attacked, many autoimmune sufferers experience chronic fatigue, chronic pain, declining brain function, gastrointestinal issues, hair loss, weight gain or weight loss, brain fog, and more. Fortunately, functional medicine offers lab testing that can screen for autoimmunity against a number of different tissues. We also use strategies such as an anti-inflammatory diet, blood sugar stabilizing, gut healing, addressing toxins, and habits that minimize stress and inflammation. Ask my office if autoimmunity may be causing your strange and chronic symptoms.